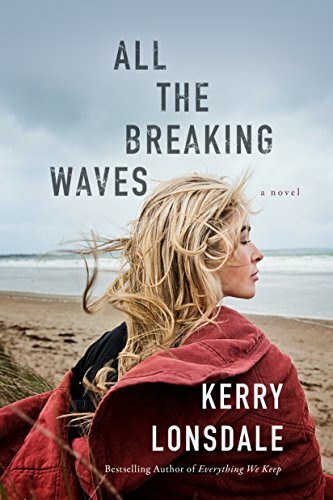 I was swept away to a magical place with this beautiful story, All The Breaking Waves! From the first descriptions of Molly’s treasured sea glass, I felt like I was on the beach with her sensing the incredible feeling of finding these wonderful colorful pieces. Molly’s keen talent for designing jewelry from sea glass was like her innate ability, the incredible gift she had for sensing premonitions. She feared this surreal ability that she and her daughter Cassie also had. Cassie was experiencing terrible nightmares and held unspeakable danger that Molly had to stop. Her grandmother also had this ability but would not speak to Molly about it, nor would she share the secrets that she held about herself. Owen was Molly’s love that she had run from years ago. She fought her renewed feelings for him but still kept her secrets; she needed him. I loved this story, the warmth feelings depicted, the dogs Mudd and Dirt, the waves, the beach, the delicious dishes in Nana’s kitchen, the love that existed between Mothers and daughters. I laughed and cried, with characters that became so real. A story full of love, of family, children’s fun, suspense, romance, yet excruciating fear, and heartbreaking sadness. This was delightful and rich story you won’t want to end. There is magic in sea glass treasures, and in this must read book you don’t want to miss. The plot, characters, and story felt new. Lonsdale weaves complex situations, people, and plot lines into a fast-paced, beautiful story. I liked the bond of family and close friends in this book. The whole family had a ‘gift’ that was the same but of different usage. They dealt with the good and negativities of these ‘gifts”. There are a few twist in this book that makes this book is worth reading. And can I just say, I fell in love with Owen.